STEP 2: Click Can’t access your account? link, just below the Sign In button. On the next page, it will ask why you can’t sign in and offer a number of options to select from. STEP 3: Select the option that applies to you and click the Next button. If you forgot or lost your password, select the option that says I forgot my password. If you didn’t forget or lose your password but you still can’t sign in, select the option that says I know my password, but can’t sign in. 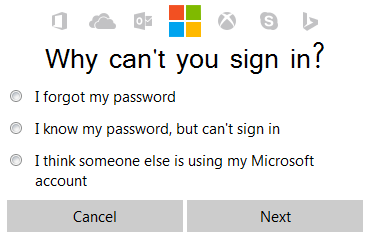 If you think someone else may have accessed your account without your knowledge or consent, select the option that says I think someone else is using my Microsoft account. For the sake of this tutorial, we will select the first option, which is “I forgot my password”, and click the Next button. Once you click the Next button, Recover Your Account page will be opened. This page will ask you to enter you email address (your Hotmail address) or phone number (and a random code for spam prevention). STEP 4: Enter your Hotmail email address or phone number that you provided while creating your account and also enter the random code. If the random code is not readable, click the New button to generate a new random code. The next page will ask you to verify your identity in one of three ways. STEP 5a: If you have provided an alternative email address during registration and if you still have access to that email address, select the first option, enter your alternative email address and click the Send Code button. An email with the verification code will be sent to your alternative email address. STEP 5b: Or, if you have provided a phone number during registration and if you still have access to that phone number, select the second option, enter your phone number and click the Send Code button. An SMS with the verification code will be sent to your phone. STEP 5c: Or, if you neither remember your alternative email address or phone number that you used during registration, select the third option which says I don’t have any of these and click Next. 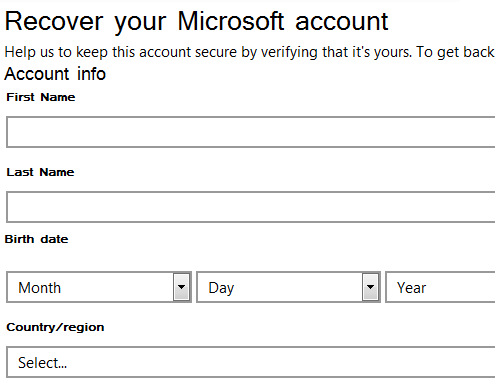 Following from Step 5c, the Recover your Microsoft account page will be opened. Note that, as it is also mentioned on that page, you can’t recover your account using this option if you’ve turned on two-step verification from your account settings previously. What this means is that you need to either recover your password using your alternate email or phone number, or else your account will be non-recoverable for good. 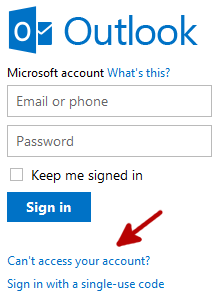 STEP 6: At the bottom of the page, enter a contact email address and click Next. This email address must be different from the Hotmail account you are trying to recover. 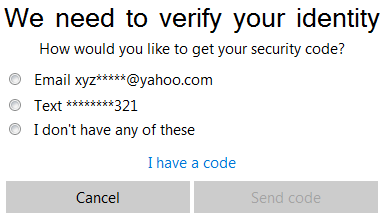 An email with a security code will be sent to the email address you provided. STEP 7: Enter that security code on the next page. This will open the account recovery page which has a long form with many fields. In order to keep things secure and make sure that you are the genuine owner of the email address that you are trying to recover, Microsoft will ask all the details you can provide about your account. I don’t know the amount of information that will be enough to enter on this form but the more details you can enter, the higher chance you will have to recover your account. Remember that there is also a chance of not being able to recover your account if you can’t enter enough personally identifying information or if you have used wrong information during the registration that you no longer remember. Once you fill the form with as much information as possible and submit it, the system will crosscheck the provided information with your account’s information and if the system is convinced that you are the owner of that account, it will be recovered. Otherwise, you can prepare to say goodbye to your account, take this as a lesson and be more careful in the future when creating a new email account and keeping track of your passwords. If you failed to recover your Hotmail account and you are in need of a new email account, you can create a free email account or an ad-free email account on various online email account providers. 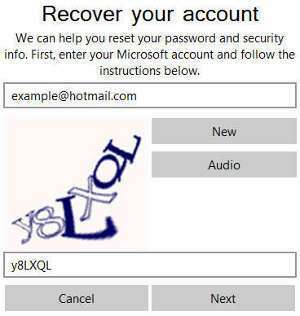 This tutorial demonstrated how to recover a lost Hotmail password and I hope that it will be helpful in recovering your account. Please share this tutorial if you think it will be helpful to others who might be trying to recover their Hotmail accounts.